All of us do have a part of our wardrobe meant exclusively for festive occasions. 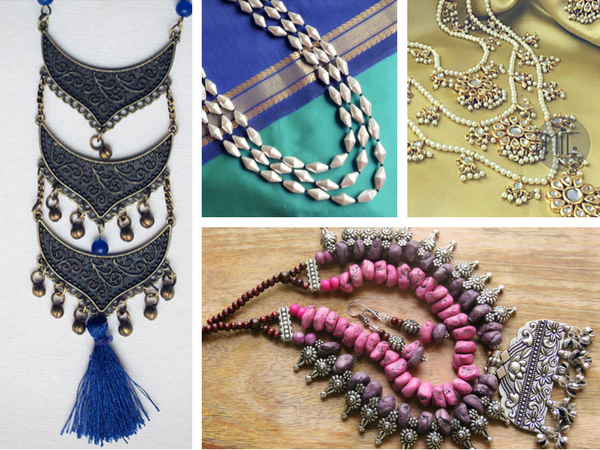 And it’s equally necessary to have jewellery to complement one’s festive look – be it ethnic, contemporary or a mix of both. This season – step up your game and keep the focus on statement jewellery pieces in sync with today’s trends. Or break away from tradition and experiment – using your own creativity to create your own signature style – instead of imitating someone else’s. Mix up pieces, create surprises, take risks – be the ultimate in cool. Keep folk around you guessing, as you win the season with a creative yet effortlessly well-put-together look. 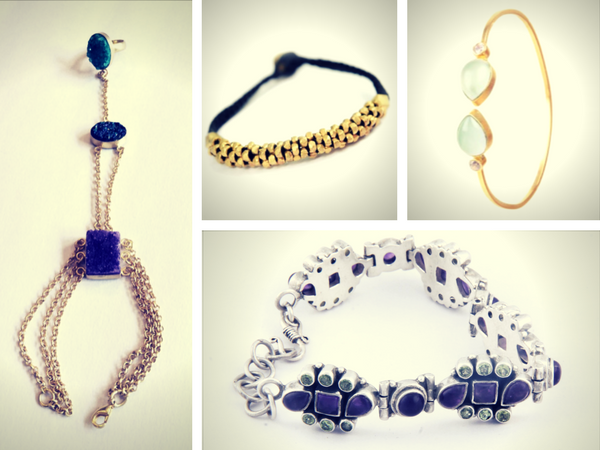 You can make a beginning with our stylish recommendations in both artistic jewellery and precious jewellery. Both of which offer one-of-a-kind bespoke or limited edition pieces. Mix wearability with surprise for that element of stand-out style this season. On occasions where more may be less – the trend of a single three or four layered or tiered statement necklace is a great way to take away the pain of mixing and matching multiple pieces. Ensuring that over the top can also be classy and stylish. 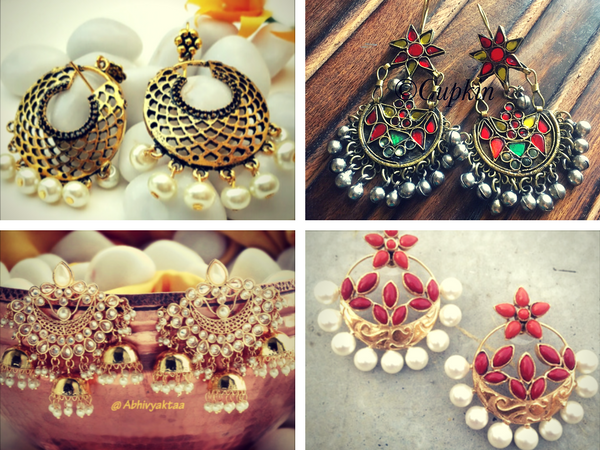 The full or crescent moon shaped ‘Chandbaalis’ continue to be a style favourite, crafted in kundan and glass work in rainbow hues, mixed with coloured gems and pearls using gold and silver accents. They also make for a great stand-alone piece of statement jewellery. Check out the collection here. 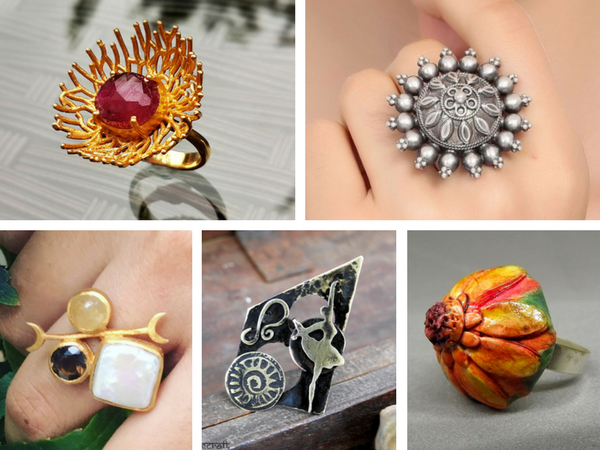 Bold, beautiful cocktail rings now make a statement as they make their way from street style trends to runway fashion and as bridal wear too. Score these in precious metals as well as in silver, duo-toned metal, brass and gold-plated silver crafted in contemporary designs for maximum effect. 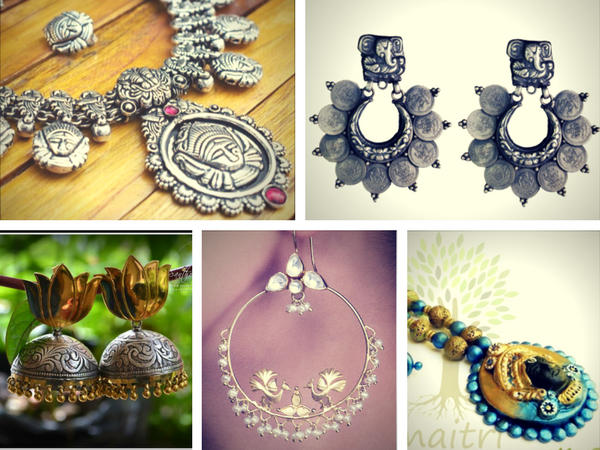 Jewellery crafted using traditional motifs such as peacock, lotus, gods and goddesses are a fail-safe option in both silver and gold finish options and pair equally well with ethnic and contemporary attire. So you now know. Get set and get ahead this festive season with our recommendations. And because we just can’t have enough of pretty baubles ! 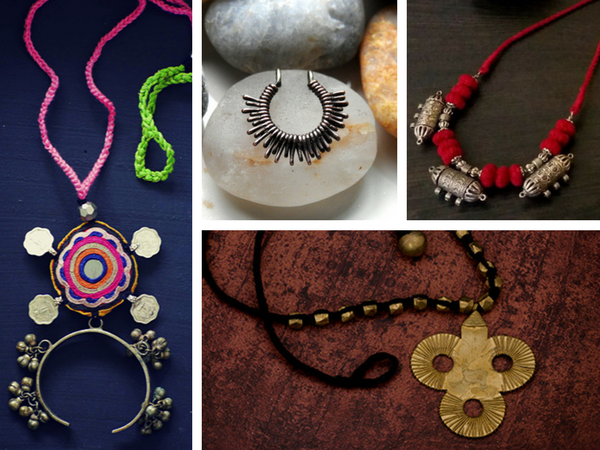 Explore these and the rest of our artistic jewellery selection in both ethnic and international designs. In a mix of bold and subtle pieces for everyday and occasion-wear. 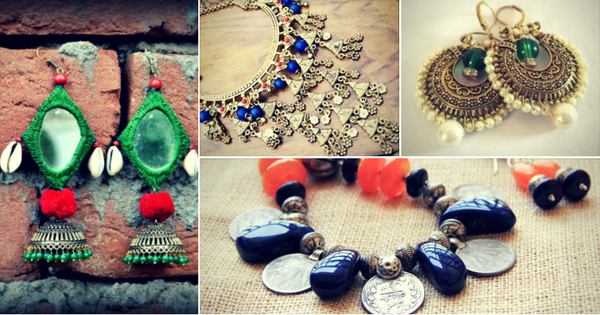 This is Jewel-Art for the festive season up ahead !